This recipe showed up in my email from Vegetarian Times and lead to immediate smoothie creation. 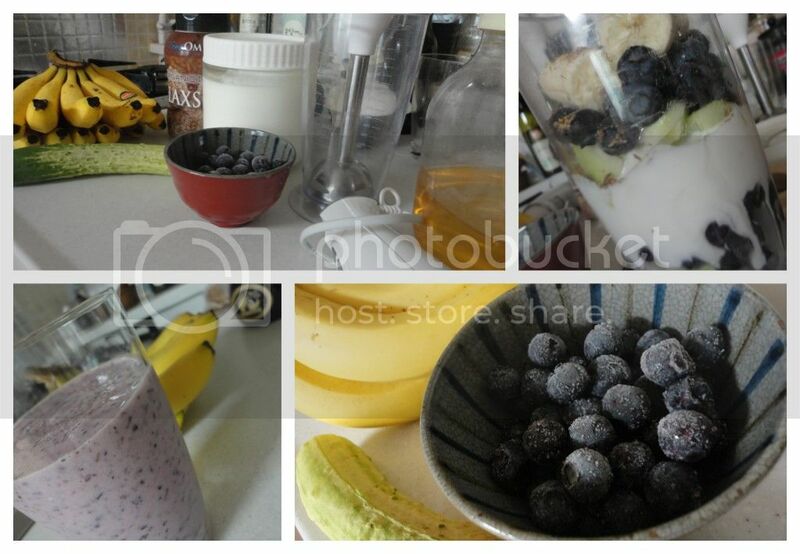 I kept the main theme of Blueberry meets Cucumber but added a couple of bananas, some flax seed and used honey rather than agave nectar. Absolutely refreshing and highly, highly recommended!